Thank you for starting the thread, @Rin90, and for all the information you provided. Since the drama is now called "Doctors" would you please change the title of the thread, so it will be easier for soompiers to find it? And also let Rubie know of the thread, under the name "Doctors" so she can include it in the Official Directory under SBS. This will help Soompiers find it, and make sure there is no duplication in making a thread. Thank you in advance. I have seen pretty much all of her works so I am beyond excited. She is so talented and fun to watch on screen and her co-star KRW is just incredible. Oh,I didnt see that title.I just tried to look for information and there was just ,,doctors,,?Maybe it is, i looked if there was already a forum in soompi with name ,,doctors,, and there wasnt any,so I just opened this thread,as Pakshinye is going to accept a role I havent serched in English actully I jusr read the articles that were in Korean. I think when the reports were coming out last night, many of us were looking for the a thread under the name "Doctors," just like you did, @SongMira as that is the title given in all the new reports. I hope @Rin90, will change the title of this thread accordingly. I am surprised it did not get changed last night, when it was apparent there is a new title for the drama. At this time, because the title on this thread has not been changed despite the name of the drama having been changed, as was clearly indicated by every single report that confirmed Kim Rae Won and Park Shin-Hye, Soompiers still cannot find this thread, and connect it with the actual drama. so, it was old script? And already completed for sure. Then, i can expect a well written drama plot story. 2. It has a strong female characterization.....which is great because Shinhye will be able to show her mettle as an actress. i do love strong female lead. This plot reminds me of Protect the Boss, the female lead was a former gangster then become secretary. She fight for her life and never give up. Looking forward for PSH's efforts to survive in cruel society. me too! I expect him to win daesang, but what can i do. Rating chose the winner! Joo won did a great job on Yongpal, but KRW did 'crazy job' on Punch. Thats why i hate rating lately (esp for public channel), rating doesnt not really describing the beautiful of the story line. Im really excited for this drama. Im not a big fan of PSH, but i am waiting for KRW (fallin in love with him after Punch). And the scriptwriter, i did watch High Society - for me it was a 'realistic' love story of the chaebol and a common people. So for this drama, i hope it will be realistic story too. See u next time friends, i will wait for new informations. Thank you all for info. and POV provided here....! And the first to open a thread with confirmations, abiding by Soompi rules, should be the owner of the thread. Basically the current habit of "saving" those threads, is unfair to those who abide by Soompi rules and wait for the confirmations. Here is the old revived thread. I hope the name will get changed soon. @irilight Hiya chingu dear, thanks for the shoutout. Why aren't you watching Marriage Contract? It's an awesome drama. Come over and check it out, will ya? You know, I'm somehow not a fan of PSH, but I'm willing to check her out again here, just because there's KRW yay! I hope they will have a good spark here. The plot and the supporting cast look interesting too. I'm in, chingu. @moderators Can you guys merge this thread and the other thread together or lock one of them? This show so reminds me of "Grey's anatomy". And KRW with that hair...perfect McDreamy lol. BTW I sincerely hope they change the title. What kind of name is "Doctors"? It sounds extremely boring. I'm a casual fan of PSH so I'll be here if the script is good. Wow, cant wait for PSH become a doctor. I hope this drama will success. Thank you very much @ororomunroe, for updating the title, and merging the threads...! This time she will act with her sunbae... Kim Rae Won. Oh so it's really confirmed. The one that I highlighted.. along with the story it's what makes me want to check out a particular drama. And to the question back then of which I was more interested. So it's KRW. At least it's not some dolled up flowery boy.. It's an actor with good acting skills. With right script, good story great cast she'll do well with all of that. The story seems to revolve around neurosurgeons. So...is this gonna be sorta like Brain? Hope not. Just cos It's one of my all time fav kdrama. @suchadiva42 chingu.. I am sure you did... I know you well enough... I also know that I was frantically looking to see if there is a thread, when I was reading all the announcements. 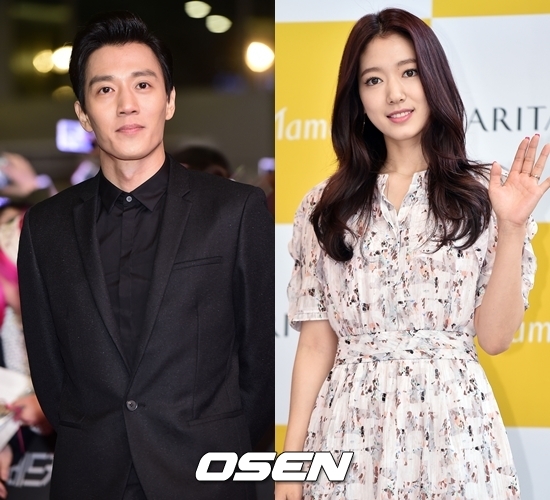 Kim Rae-won and Park Shin-hye will co-star in SBS' "Doctors". A source from SBS confirmed, "Park Shin-hye and Kim Rae-won have been confirmed to appear in"Doctors"". "Doctors" focuses on the realistic sides of the hierarchical system of doctors' circle in terms of their academic clique and social and geographical origins, as well as the relationships between doctors and patients. The drama depicts turbulent and passionate stories by doctors who would not lose the Hippocratic Oath and still keep trying to accomplish their dreams despite the changing world. Kim Rae-won will play Hong Ji-hong, a neurosurgeon, who is gifted, personable and greatly popular. Park Shin-hye plays Hye-jeong, a helpless gangster, who has never lost in a fist fight so far. Park Shin-hye will show her dramatic transformation as she later turns into a medical doctor. "Doctors" has been scheduled to premiere in June, taking over the same airtime from "Jackpot". Kim Rae Won and Park Shin-Hye trending #2 on Naver..
@jongski Hi, I'm also not a big fan of hers but love doctors dramas and all the more I'm a huge fan of Kim Rae Won since rooftop alleycat so just for him I'm in trying to get back into the swing of things now since I'm getting more time in my busy schedule..
@suchadiva42, I see you have drop your 2 cents in this thread we just can't pass up KRW I'm slowly bmaking my way back and ready for the summer daily's.. Catch you later..
@Rin90 Thanks for opening this thread..
all the more I'm a huge fan of Kim Rae Won since rooftop alleycat so just for him I'm in trying to get back into the swing of things now since I'm getting more time in my busy schedule..
@valsava ! I am so happy you are back, and here with us, chingu....!